Who? That may be the question that rippled across comic book movie fans, as Warner Bros. has named Walter Hamada the new head of it’s DC film universe. 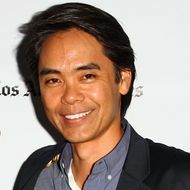 Hamada was previously an executive at New Line Cinema where he oversaw the successful It movie and the also prosperous and well-received, Conjuring franchise. Warner Bros. president and CCO, Toby Emmerich heaped praise on Hamada (who is also good friends with Aquaman helmer, James Wan,) saying, “He’s a terrific production executive,” and that he’s, “a great addition to the Warner Bros. Pictures team, and I look forward to working with him in his new post.” Emmerich made sure to add that Hamada will be working with Geoff Johns, who remains the CCO of the DC franchises. With only one movie on the horizon for 2018, Hamada has some time to clean up the current mess and put things in order, or to be another in a seemingly endless line of replacements who can’t out-maneuver the WB brass when it comes to finalizing a movie. Let’s just hope he doesn’t turn out anything at the level of 47 Ronin, a film he was a screenwriter and executive producer on, that flopped terrifically. What are your thoughts? Let us know! Brenton Thwaites To Be The Titans’ Robin! Looking probably a little more swarthy in this picture than he will as the other half of the Dynamic Duo, Brenton Thwaites has signed on to play Robin in the DC series, Titans, coming to the Warner Brothers new DC-branded streaming service, in 2018. Thwaites may be recognized from his roles in Pirates Of The Caribbean: Dead Men Tell No Tales or Gods Of Egypt, where he had smaller roles, but will definitely be taking the lead here, in his first U.S.-based series. The series is another Berlanti project with Sarah Schecter, this time written by Akiva Goldsman, and of course, with Geoff Johns involved in producing. Of course, as previously posted, Thwaites’ Robin will be joined by Teagan Croft as Raven and Anna Diop as Starfire. This is starting to look better and better! An employment website catering to the film industry lists several openings on the recently announced live-action Titans series that will anchor WB’s new digital streaming service (alongside Young Justice). The listings state that filming will begin this Fall, on September 25 in Atlanta, Georgia. While the studio’s superhero TV shows typically film in Vancouver, it seems that Titans will be joining The CW’s Black Lightning in the Atl. Geoff Johns, Akiva Goldsman and Greg Berlanti are writing the pilot. The series has a confirmed 2018 premiere date. Johns has insinuated on Twitter that the series will also feature Beast Boy. Well thank God it isn’t who our worst fears thought it could have been and yet it is someone who was on the high regard list to potentially direct it. It looks like the solo Batman film has its new director and it is Matt Reeves. Reeves who directed Dawn of the Planet of the Apes, the upcoming War of the Planet of the Apes, Cloverfield and more is finalizing talks to helm the caped crusaders solo film after ben Affleck, who will still star in the movie, stepped down as its director in January. Affleck is said to still has some say so in the direction of the film as he is still writing the script with DC exec Geoff Johns. This has once again hyped the anticipation of this film. Cant wait to see how it all plays out. Hey there, shes, hes, shims, hers, hirs, zes and so on – show co-host Bobby Hill here. Time for some real talk. As we grow the podcast and live shows, Jay and I want to also be able to put some original content out to you here, so that you can get our unfiltered opinions on these universes, even ONE MORE additional way. Sometimes you just want a salient opinion or two, right? With that in mind, I proudly present: See, What People Don’t Realize Is. If you don’t listen to the podcast regularly, first of all, shame on you. Secondly, Jay has a tendency to couch “bombshell” tie-ins or reveals of easter eggs or even things that people would never think to realize at all, to the phrase, “See, what people don’t realize is…” It’s hilarious, it happens once every couple of shows, and now I catch myself doing it, too. In honor of that, every so often, we’ll deliver an original post about a piece of news, an opinion we have, etc about either the MCU or the DCEU, and they’ll all be titled similar to our first “See, What People Don’t Realize Is,” which, as you can see, is the mighty argument of Marvel vs DC. With the failure of Suicide Squad in the form of what seems to matter most to the “die-hard,” Spider-man underoo owning, “I’ve been a member of Superherohype since it was Spidermanhype” crowd – that is – the critical reviews, DC again finds itself in an artistic/storyline problem when it comes to how it’s compared to Marvel. Man Of Steel was bleak, BVS even bleaker, as well as misshapen and a bunch of other adjectives meaning “not very good,” and the director of those two, Zach Snyder, was already on to helm Justice League. Cyborg looks like he’s not going to get used right, everyone except the execs at Warner seem to want Grant Gustin to be every Flash (understandable,) leaving the hopes of the franchise on Gal Gadot (unproven) and Jason Mamoa (terribly nice, but no box office cred,) with the hope that Ben Affleck will Robert Downey, Jr his way through each film. Let’s face it, Affleck hasn’t done nearly the amount of drugs necessary to have the charisma of Robert Downy, Jr.
As DC is producing all of that, Hollywood scene-darling Benedict Cumberbatch (Oscar nominated) and Brie Larson (Oscar winner,) are about to release and prepping to film, respectively, for Marvel. “How is Marvel so good at this and DC so bad?” is the question you should be asking. We have – for a couple of years now. As we’ll be talking about on episode 38 of our podcast, Time Warner CEO, Jeff Bewkes as even admitted the quality from DC is lacking. Marvel has made their series of films look seamless, as well as weaving in elements from their various television series’ while DC has kept their movie and TV divisions, well, divided. In fact the product put out by Greg Berlanti through the CW network (and Supergirl on CBS till they moved to the CW,) is really the only watchable DC fare in the live-action world. Now he’s taking on a Booster Gold movie which will rightfully not be connected to whatever mess is happening in the formerly Snyder run world, now helmed by Geoff Johns. A lot of people hope Johns will right the ship. He’s a DC stalwart who’s been involved with nearly everything there for almost 20 years. But can he? See, what people don’t realize is, what Kevin Feige has done with Marvel is unprecedented. Because it’s 8 years and multiple successes in, it seems like what Marvel is doing isn’t even new any more, but it is! Before Tony Stark showed up at the end of the Incredible Hulk, the idea of live-action superhero continuity – or continuity of different movies through a series of loosely connected characters was unheard of. Sure, you might get a spin-off character, but by the time of the first Avengers movie, there had been 5 connected films, directed by 4 different people, with the 6th film bringing all of those characters together and directed by an entirely different person. And, while none of those films are “perfect” movies, they are all entertaining, fun, worth whatever the theater was charging prices, and you know it because when they pop up on TV now, you watch at least a half-hour of any one of them if you’ve got time. Then they followed it up with 6 new films with 5 new directors and the same guy who directed the last uniting of all the characters, coming back to direct them all again; and once again, despite none of them being perfect, and one or two even being a little lackluster (Thor and Ultron, anyone?) the rest were outstanding. Guardians Of The Galaxy and Winter Soldier are so good, yet so far apart in style, that you almost don’t get how they’ll ever bring all of those characters together, but your trust it at this point, because 13 movies in, the track record is pretty solid. They really should let Greg Berlanti in on more of the movie-verse. Yes, his CW shows are a little, uh, built for the CW is probably the best way I can describe it. But, if Booster Gold is a hit and he makes the Black Lightning show he’s prepping for Fox into another success, they need to start paying attention. Or, they could always take my advice from a previous episode, and do what Sony did – let Marvel make your movies!